KIEV, Ukraine -- Ukraine will have to pay international creditors more than $60 billion (€44 billion) in the next 18 months amid dwindling hard currency reserves and in the context of upcoming presidential elections in March 2015. It will be a jittery 18 months for Ukraine's international creditors, who are weighing up its $60 billion-plus debt repayment schedule against its fast-diminishing hard currency reserves. Ukraine's presidential election in early 2015 is the focus for investors, who reckon that the government will then be willing to sign up to a desperately needed loan from the International Monetary Fund. Before that, though, it would prefer to scrape by rather than accede to the IMF's politically difficult demands. The country's debt problems shot into the spotlight this month when its state oil firm Naftogaz narrowly escaped default - not through lack of cash but because of action by a US-based creditor which successfully petitioned a UK court to seize a bond coupon payment in lieu of an old $22 million (€16 million) debt. 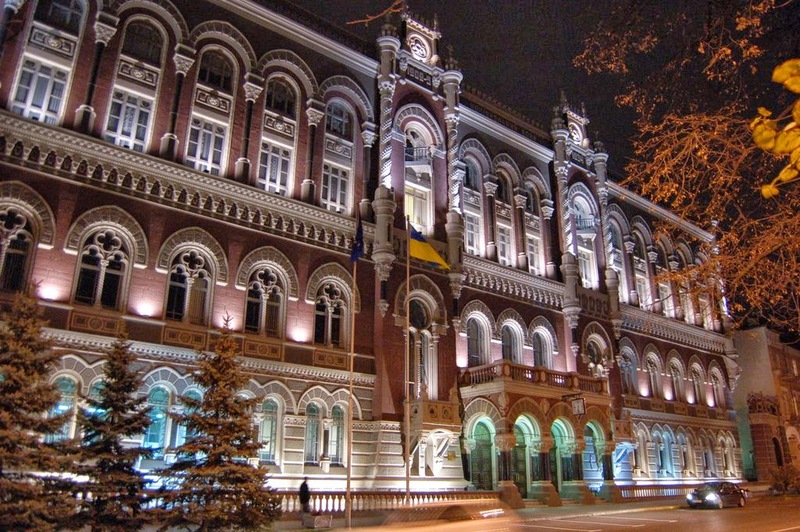 Ukraine paid the $22 million again to avoid default. But it could ill-afford the extra payment, given that central bank reserves are barely above $20 billion (€14.6 billion) - less than enough for three months of imports. And many more payments loom. Over $60 billion, or a third of the country's GDP, is due in the coming year, central bank data showed at the end of July. Of this, the state owes $7 billion (€5.1 billion). Add to that a $10 billion (€3 billion) hole in the balance of payments, an economy stuck in recession and a government that plans to issue promissory notes in lieu of budget arrears, and it is easy to see why investors are worried. With the exception of hedge funds and opportunists keen on the high yields, most have ducked out, an exodus that gathered speed last month as Moody's cut Ukraine's credit rating to Caa1 - seven notches into 'junk' territory. "It's very simple. They are supposed to have $60 billion in maturing debt and $20 billion in reserves," said Okan Akin, an emerging markets analyst at asset manager Alliance Bernstein. "Even the healthiest Ukrainian company will find it extremely hard to refinance external debt before the sovereign sorts out its situation." Swap markets currently rate Ukraine's default probability over the next five years at 50%, next only to Argentina's, while a jump in short-dated bond yields and debt insurance costs reflect fears of an impending default. For its part, the central bank says Ukraine will meet its foreign debt repayment obligations on time despite the decrease in its foreign exchange reserves. An International Monetary Fund (IMF) loan would at a stroke resolve many of the problems, putting cash in the bank and reassuring global investors. But the IMF's loan conditions - currency flexibility and cutting energy subsidies - will be unpalatable to a government facing elections in 2015. Russia, Ukraine's main source of energy and bank loans, has been angered by Kiev's efforts to cosy up to the EU. Export revenues are down, along with prices for steel, which comprises a quarter of Ukraine's exports. And if C-rated Ukraine were to issue Eurobonds, it would have to pay 10%-plus yields to induce investors to buy. The IMF starts a 10-day visit to Kiev this week but analysts are pessimistic about a loan deal before the 2015 election. "The only thing which could force an early programme is if the hryvnia cracks, and Ukraine ends up going into a full blown balance of payments crisis, pre-election," Standard Bank analyst Tim Ash said, referring to the tightly controlled currency. "Given Ukraine's fundamentals that's not a low probability." 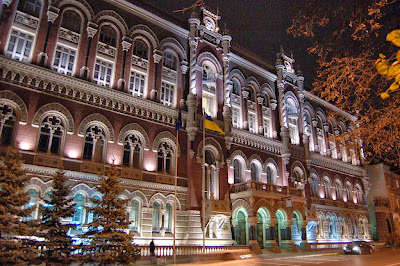 Without an IMF deal, what stands between Ukraine and default is the central bank's reserve chest. While reserves have fallen by a third in the past year and are well below total maturing debt obligations across the state- and private-sectors, analysts reckon the government can at least muddle through until 2015. "Our base case is there will be enough cash to service next year's obligations but... there is going to be a significant drain on FX reserves," Barclays strategist Andreas Kolbe said. Reserves could fall to $11-$12 billion (€8-€8.8 billion) by the end of 2014, Kolbe reckons, while Unicredit analysts are more pessimistic, predicting they could even crash below $5 billion (€3.7 billion). The reserve depletion shows Ukraine is "increasingly running out of ammunition to maintain even a sub-optimal status quo," they said in a recent note. On the plus side, Ukrainians have $23 billion in hard currency bank savings that the state can tap via domestic dollar bonds. Such issuance has raised over $3 billion this year. Much will depend on the global bond market too, Kolbe says. "Can they maintain status quo for 15 months until the election? It depends on... whether there will be a window of opportunity to issue Eurobonds," he said. Ukraine's high yields may well persuade bond buyers to overlook its troubles. Max Wolman, a fund manager at Aberdeen Asset Management, says Ukraine makes up over 3% of the EMBI Global, the main emerging debt index and excluding it from a portfolio is not easy. Wolman predicts, first, that creditors, including the IMF could grow kinder to Ukraine after the expected Nov 28 signing of political and trade deals with the EU. Second, he expects that billions of dollars in outstanding loans and trade links will dissuade Russia from pushing Ukraine into bankruptcy. Also, a third of the short-term debt burden is comprised of trade credits which tend to be rolled forward, he notes. "I am not saying Ukraine is a great credit but they have the ability to kick the can down the road and avoid default, whether they get money from Europe, from markets or Russia," he said. And, if faced with the worst, there is always the IMF.